Maan Properties & Developers Pvt. Ltd is among the oldest and experienced Real estate companies in Greater Noida. We offer excellent Construction Services to all clients for Residential Property, Industrial Property and Commercial Property. Since we value the trust clientsâ�� have in us, we follow the best global practices in our Construction Services. 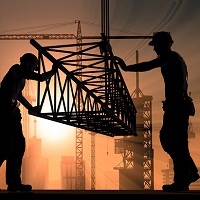 To ensure quality construction, we make use of best techniques, advanced machinery and a skilled labor force. Our in house quality auditors make certain that the quality of construction is top rate and flawless. Also the raw materials and other fittings used in our construction are sourced from reliable vendors to maintain high quality standards.